How to Brand Yourself or Your Tech Business for the Most Impact — Being passionate about technology reflects in your work, ideas and imagination. But, does it reflect in your online identity too? 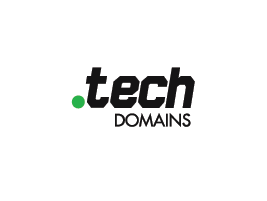 It’s time for you to choose .TECH, a domain name that is innovative and relevant to who you are. TNG-Hooks: React-Inspired 'Hooks' for Stand-Alone Functions — An interesting idea inspired by React’s recently proposed Hooks feature. Slate: A Framework for Building Rich Browser-Based Text Editors — A flexible, plugin-driven framework for building rich, intuitive editors. An established project but with lots of improvements and releases since we last linked it. Play with all the live demos here. Full Stack Engineer, SEO Platform (SF) — The Uber SEO Engineering team is a full-stack team focused on improving Uber's SEO. We build tools, systems, libraries, and features to improve SEO @ scale. Promise Chaining Is Dead. Long Live async/await — One developer makes the argument for stopping using promise chaining altogether and getting entirely on the async/await train. Inlining or Caching? Both Please — A look at the potential for using Service Workers and the Cache API to cache inlined assets. Building Offline-First Vue.js Apps with Hoodie & Workbox — Hoodie is a backend for ‘offline-first’ JS apps while Workbox adds offline support to web apps. After Two Years with TypeScript - Was It Worth It? — Contrary to Betteridge’s “law of headlines”, the answer was yes in this case. TensorSpace.js: A 3D Visualization Framework for Neural Networks — Provides an intuitive way to visualize and understand pre-trained models built by TensorFlow, Keras, TensorFlow.js, etc. GitHub repo. Offline PDF Documentation for Node — A handy set of PDFs (weighing in at up to 1080 pages) covering different versions of Node. Visual Studio Code October 2018 Edition Released — The JS world’s most popular editor introduces multiline search and better macOS display support, amongst many improvements. react-beautiful-dnd: Accessible Drag and Drop for Lists — Version 10 dropped this week. See our React newsletter for more like this.